We have noticed that many of the diplomas given to last year’s seniors had typos on them. If you check your diploma and find an error, you need to come by the school. Diplomas have been reprinted and the corrected ones are in the office. Here is the list of those that I have down to work tonight! You must be on this list or you will have to pay parking and buy a ticket to get in the game!! Please let me know if your name is not on the list!! Note that some of you are on multiple lists as I divided the concession shift into 2 lists... early and regular time. If you any changes need to be made, please let me know ASAP!! Also, as you can see I still have a few open spaces where I need workers. Please let me know if you can help out at any of these tasks! We just found out that Pinson's band will arrive at 5:30 PM ready to buy dinner from us at the concession stand!! This is great news for us, but I feel we need more volunteers to pull this off. I know some of you that signed up to work may not be able to arrive before 5 or 5:30 PM. To be prepared by 5:30 PM, I need workers there at 4 PM to begin all the prep and cooking! I am still in need of at least 5 more workers for the regular time (5 PM until the end of night). Those that have already signed up... please let me know if you can come early at 4 PM. If anyone can come early to help until those regularly scheduled arrive, please let me know that as well. I especially need people to grill and run the fryers!! You can contact me by email at mattkimbennett@aol.com or phone/text at 205-914-3559. I also need to know who is helping with funnel cakes, as I need to put your names on the list for parking. Thank you so much for making our concession stand a success!! Sandy Armstrong is taking over as committee chair for the Queen of Hearts Pageant this February, but she can't do it alone. We are in need of someone willing to step forward and volunteer as an assistant/co-chair. Please send an e-mail to brad.sargent@sccboe.org to indicate your willingness to help. I also need to know who is helping with funnel cakes, as I need to put your names on the list, so you get in free and don't have to pay parking!! Auxiliary members: The last two weeks of our season present a time for a deep cleaning in the auxiliary room. After each practice to come, take a few extra minutes, borrow a broom and dustpan, and let's make it right. Trash bags are available. I look forward to seeing the results of your work before the Nov. 2nd game. So far, I have the following volunteers to work in the concession stand this Friday night. I need 2 more volunteers to work this game! There are still several openings to work the games on October 26th and November 2nd as well. Please let me know if you are able to help by email at mattkimbennett@aol.com, or by phone/text 205-914-3559. All workers please report to the concession stand at 5:00 PM. This message is a reminder that we are currently accepting applications for the 2013 Auburn University High School Honor Band Festival that will be held February 7-9, 2013. Students are able to register until the November 15th registration deadline. At that time, we will send you an email with directions on how to give recommendations and ratings for your students. We are still in need of students in all sections, so please encourage your students to register and check their email for weekly announcements. For more information on the festival please visit http://band.auburn.edu/events/honorbands/symphonic-honor-band-hs/. If you have any further questions, please feel free to contact me at my email address, steelsi@tigermail.auburn.edu. All students are accepted and placed in one of three bands. See Dr. Sargent for registration forms. What do you think went well? What do you think did not go so well? How might we make it better? We are closing in on finishing the consession stand. Our last major need is two 10 foot counter tops. If you might have this sitting around in your garage or know of someone who might, please let me know. Reply to greg.mcginnis@sccboe.org. Fri, 10/19/12: Homecoming Parade 1:00 pm. Students dismissed from band room after returning from parade. Reminder: The SCCBOE assesses a school band fee of $20.00 per student per semester for participation in band at all grade levels (see SCCBOE Code of Conduct/Handbook). These fees are used for instructional materials which directly benefit students. 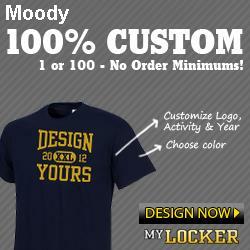 Please make all checks payable to Moody High School and send to Dr. Sargent in the band room by October 15. Dr. Sargent will return a receipt to you. If you plan to go to the service honoring band members at FBC Moody on October 21st, as announced in a previous posting, please send an RSVP to Dr. Sargent at brad.sargent@sccboe.org with the subject heading "FBC Moody." I need to let the church know how many plan to attend. Our movie night fundraiser is this Saturday, October 13th. Students and parents are needed to help make the evening a success. All volunteers should arrive at the band concession stand at 5:00 pm to receive instructions and training and to be assigned a work location. The movie begins at 7:00 pm. Please send an e-mail to brad.sargent@sccboe.org with "Movie Night" in the subject line to confirm your commitment. Please include your name and contact info. Thank you! Saturday, 10/13/12: Movie Night Fundraiser-- Everyone Please Help. More to Come. In addition to breakfast on Friday, Oct. 19th, FBC Moody would like to invite the MHS Football Team and coaching staff, the MHS Band and Director, and the MHS Cheerleaders and teacher sponsor and all their parents on Sunday October 21st to attend worship at 10:00am. Bro. Brad Moseley will have a special message in honor of all the students. We will also provide lunch for the students and their parents after the service. Please make sure everyone is notified of this invitation. If possible, let us know how many we might expect. Also we would like to give three awards: Christian Athlete of the Year (Football Player), Christian Band Member of the Year, and Christian Cheerleader of the Year. If you could let me know their names as well. If you have any questions please give me a call. I look forward to seeing you on Sunday, Oct. 21st at 10:00am. 1. Parents or others who follow our buses/truck cannot park with our buses. Please follow signs to the school parking lots at Oneonta High School. 2. Students, bus/truck drivers, and chaperones will get a hand stamp at the registration area upon arrival. Chaperones are defined as those who have signed up in advance to ride the bus and are prepared for a day of work, including escorting students to and from vendors, concessions, and restrooms, assisting with first aid if needed, truck loading/unloading, uniform needs, and tending to the general well-being of ALL students while in the stadium and on the bus. Spectators who are not participating in this way are not considered chaperones. 3. Just as our band boosters have the monumental task of raising funds to support our band program, the Oneonta band boosters must use this festival as a fundraiser for their band. Please remember that all workers are volunteers. Have patience and treat them as you would want to be treated if you were in the same situation. 4. Only our appointed band representatives are to go onto the field for the awards ceremony. 5. Spectator parking is $4.00 and is available in the school parking lot or at the top of the hill adjacent to the stadium. (Map will be added to the Yahoo Groups files). A free shuttle bus service will be available all day and after the festival. 6. Stadium admission for spectators is $5.00. Children under 6 are free. 7. No outside food, drinks, or coolers are allowed in the stadium. 8. No confetti or silly string is allowed in the stadium. 9. We will remain in the stadium after our performance time (4:20) to eat dinner, visit vendors, and view other band performances. Students should bring some extra spending money for these needs. 10. The awards ceremony begins immediately after the UAB band performance at 8:00 pm, and then we depart. We should return to the Moody band room by 10:00 pm and will need to unload the truck completely. Please have rides ready at this time. Thank you so much for those who volunteered to help with the concession stand and program sales this Friday night. I'll see you all about 5 PM!! Here is the list of volunteers. Also, for those who have not yet had an opportunity to volunteer, we have several more opportunities coming up this month. I will need workers for the following events. Please let me know if and when you can help! You can reach me by email at mattkimbennett@aol.com or by phone or text at 205-914-3559. 1:00 pm: Call time, band room. Have lunch, hair, makeup, etc complete by this time. More guidelines, inlcuding maps, directions, parking and admission info, are coming soon. I need 11 volunteers to work the concession stand this Friday night for the Mortimer Jordan vs. Moody game! I need workers there between 5 & 5:30 PM. I need to know who is coming to help to be sure your names are on the list. This will ensure that you don't have to buy a ticket to get in or pay for parking.